Produced and mastered Dan Rathbun, 17th of May and the 1st of June, 2006 at Polymorph Studios, Oakland, California, USA. 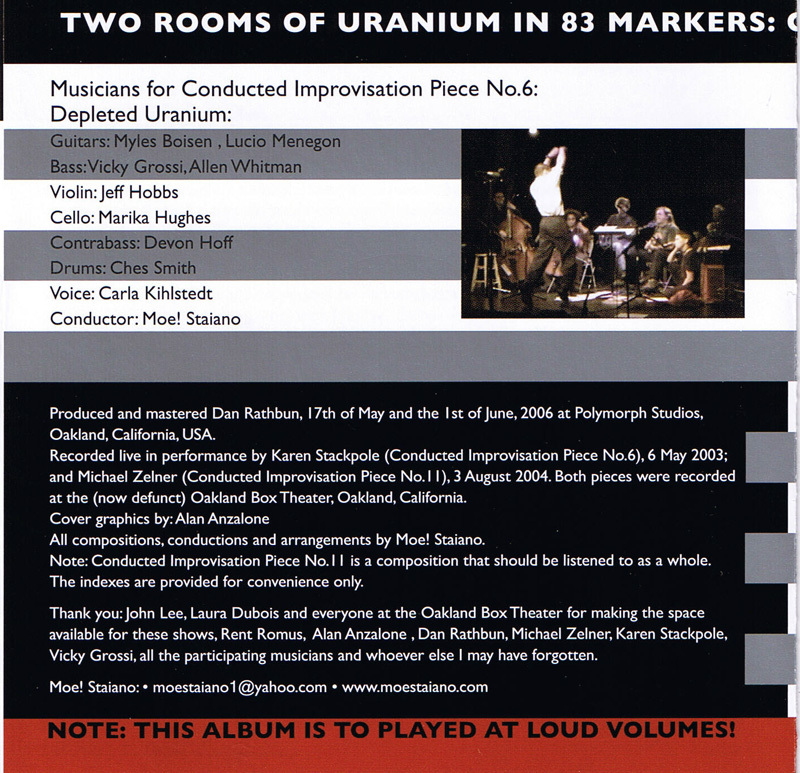 Recorded live in performance by Karen Stackpole (Conducted Improvisation Piece No.6), 6 May 2003; and Michael Zelner (Conducted Improvisation Piece No. 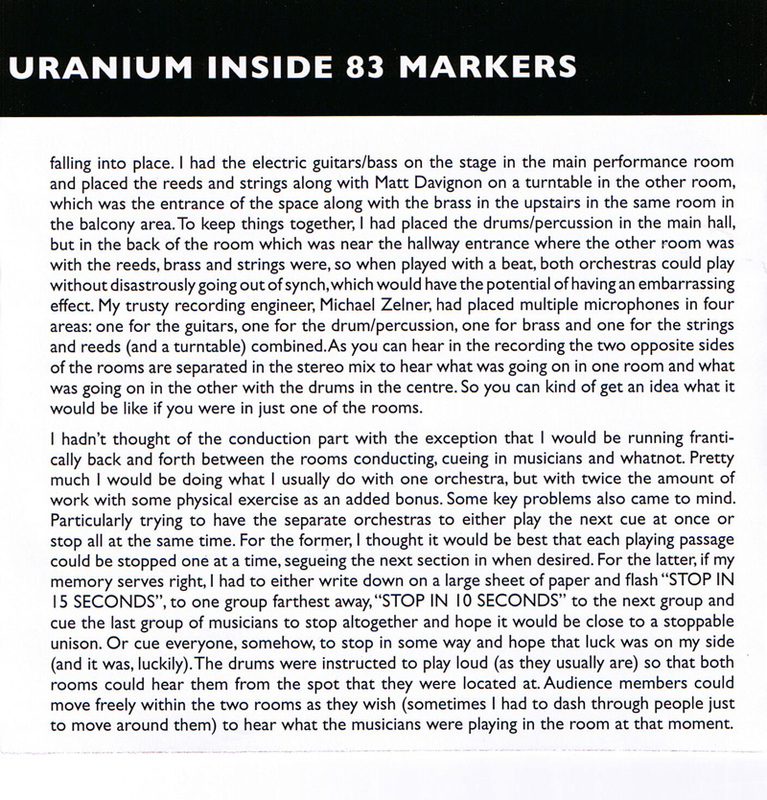 I I), 3 August 2004. 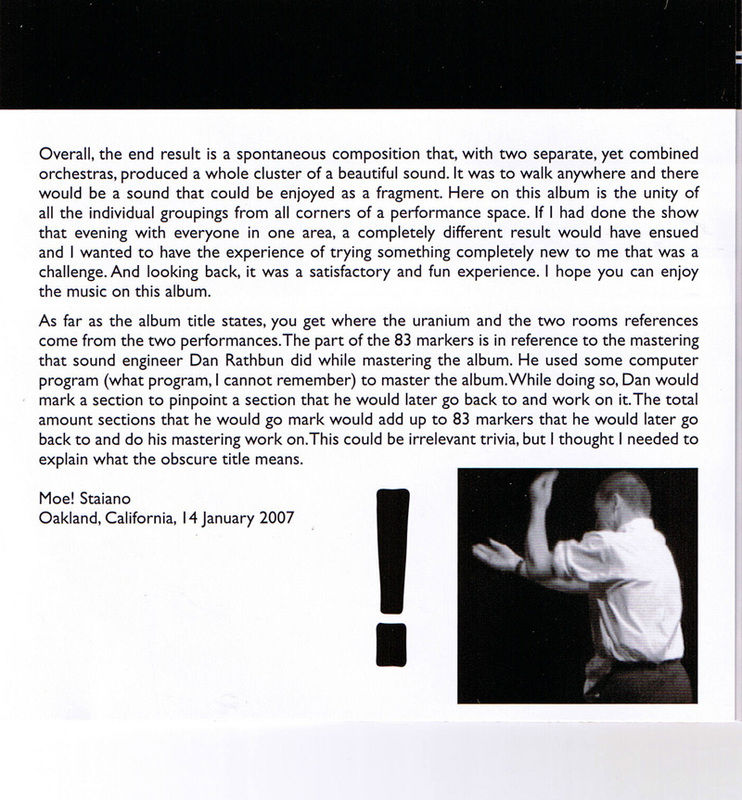 Both pieces were recorded at the (now defunct) Oakland Box Theater, Oakland, California. Cover graphics by: Alan Anzalone. 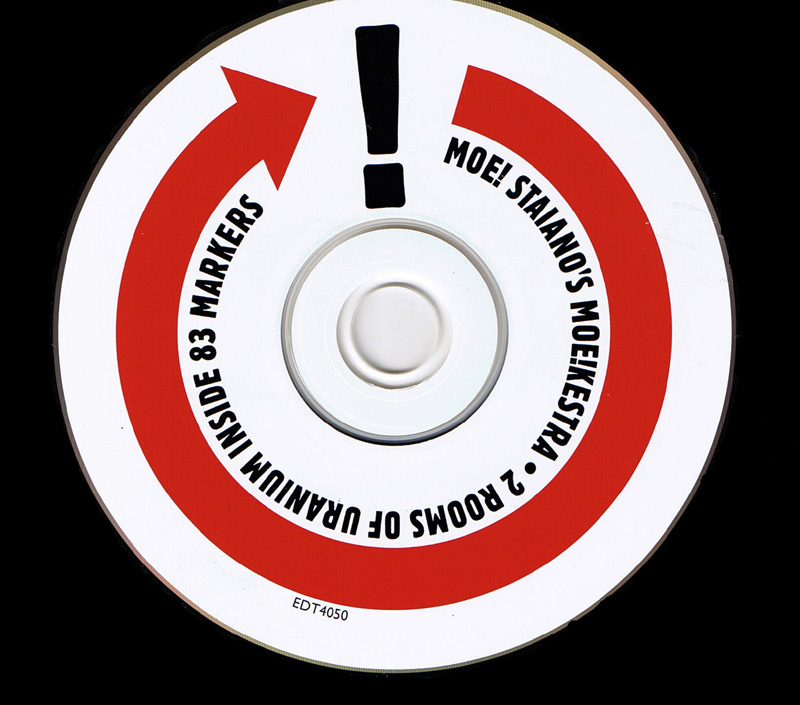 All compositions, conductions and arrangements by Moe! Staiano. 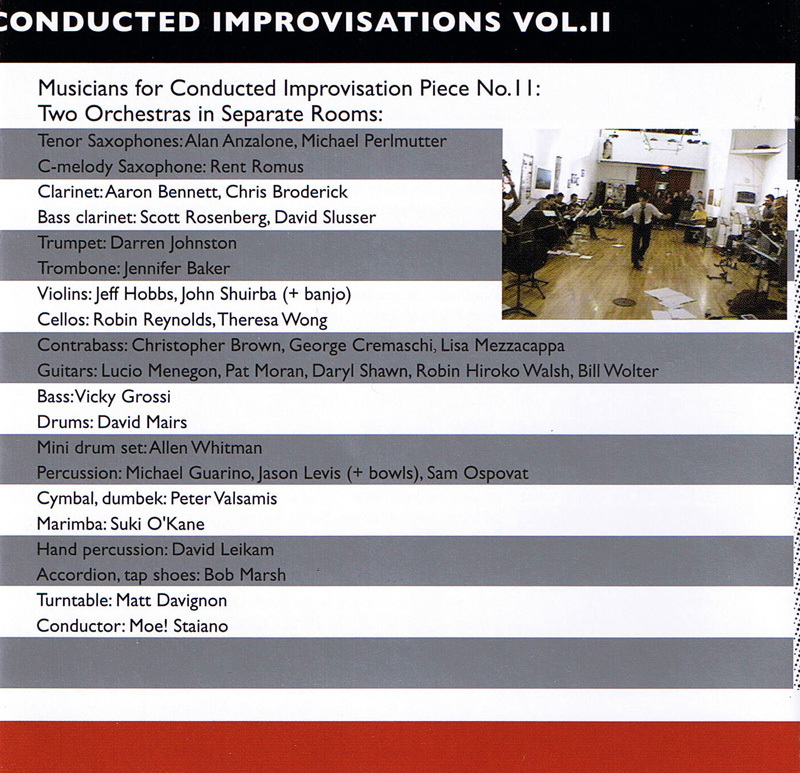 Note: Conducted Improvisation Piece No. 11 is a composition that should be listened to as a whole. The indexes are provided for convenience only. 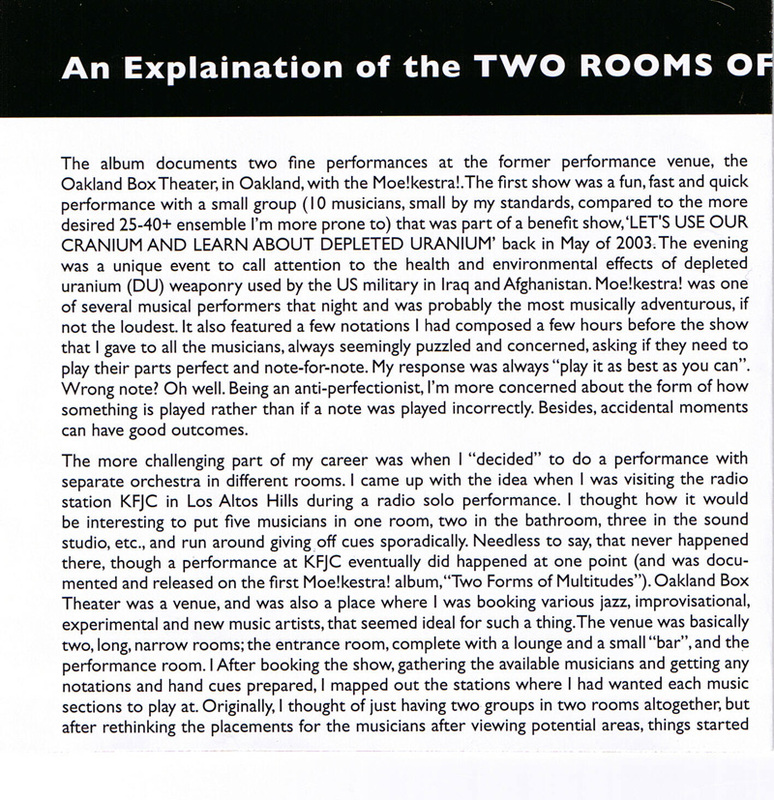 Thank you: John Lee, Laura Dubois and everyone at the Oakland Box Theater for making the space available for these shows, Rent Romus, Alan Anzaione , Dan Rathbun, Michael Zelner, Karen Stackpole, Vicky Grossi, all the participating musicians and whoever else I may have forgotten. Moe! Staiano| NOTE: THIS ALBUM IS TO BE PLAYED AT LOUD VOLUMES! This download consists of one 69.29MB zip file containing the complete track list in 192kbps MP3 format along with album art in high resolution JPG format.